April 26, 2017, New Delhi: Results of the Delhi Municipal elections are out and the majority is pretty clear. Delhi-iits have voted for a change and now want their elected councilors to understand their priorities. LocalCircles did an extensive survey a couple of weeks back to understand people’s needs and requirements. With more than 48,000 citizens voting on these polls, it was one of the largest exercises of its kind during these polls. 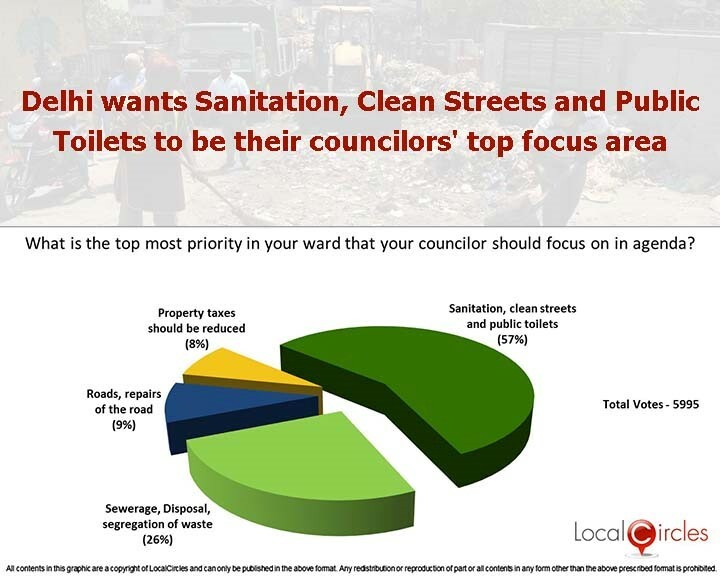 The top most priority identified by citizens in the survey was overall sanitation, clean roads and public toilets with 57% of them voting for it. 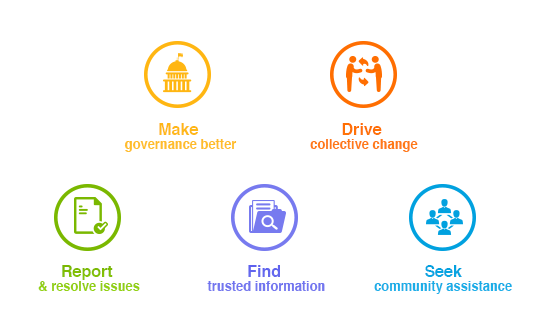 26% citizens voted for better sewerage, waste disposal and segregation of waste as a priority. 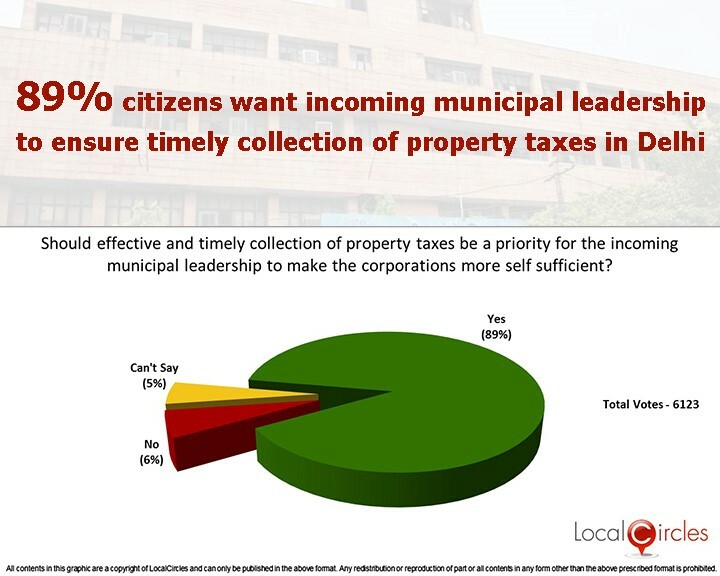 Only 8% citizens voted for property tax to be reduced. 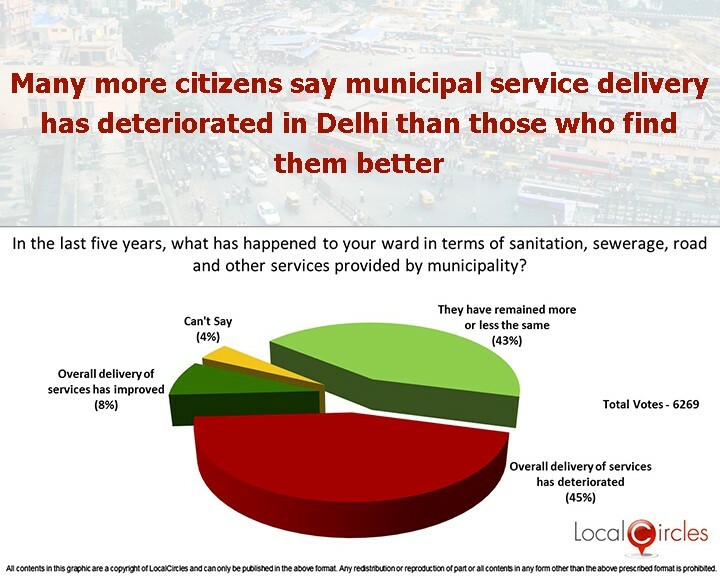 This shows that citizens do not mind paying their taxes if they get better services and sanitation in the city. 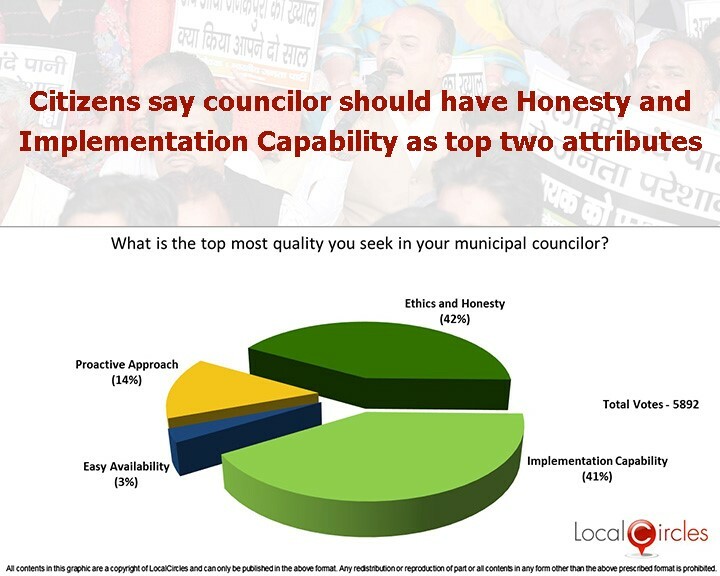 Earlier, 45% citizens had said that the municipal services had deteriorated in the last five years, while 43% said the service delivery had remained more or less the same. Disposal of waste has become a major challenge in Delhi with existing landfills overflowing and becoming ecological disasters. 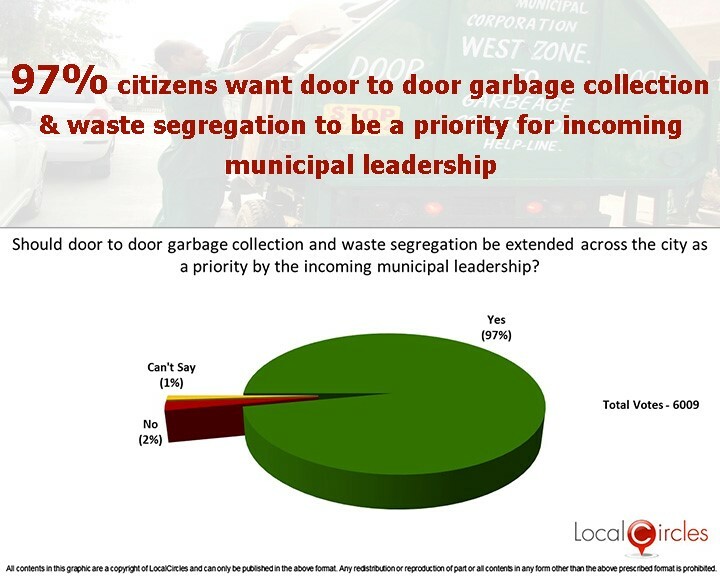 In a sub-poll, 36% of the citizens said that waste disposal is a major challenge and landfills are not a solution to it. 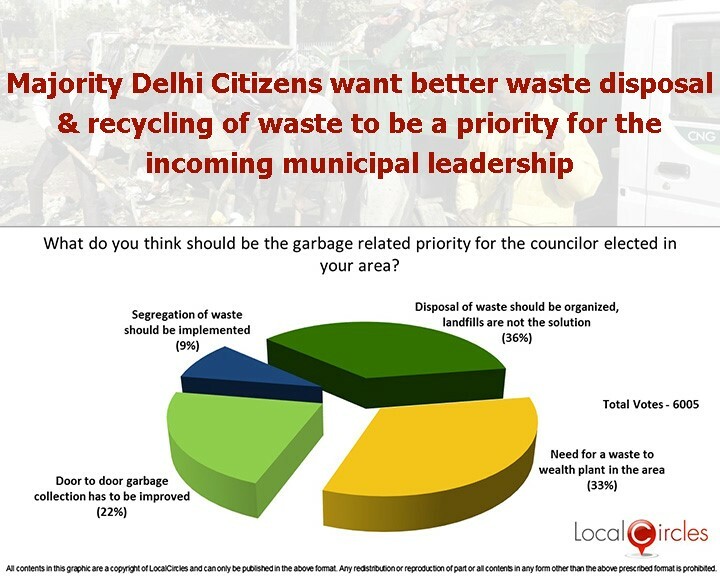 While 33% of citizens said that waste treatment plants are the solution, 22% said that door to door waste collection urgently needs to be improved in Delhi. These are the real problems that citizens of Delhi are suffering from and elected councilors need to address them immediately. Weekly markets are present in most Delhi colonies and are a source of fresh vegetables and other affordable products. Many street vendors sell their products at these markets. 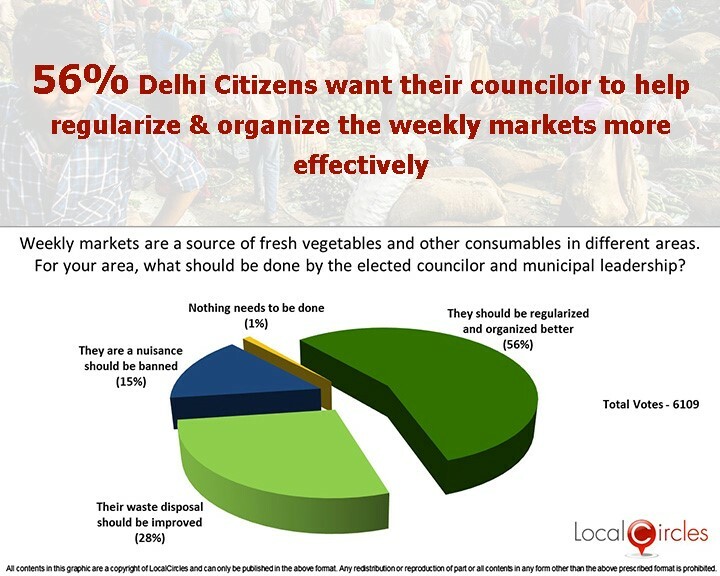 56% citizens want the councilors to regularize & better organize these markets and 22% citizens said that the waste generated at these markets should be properly disposed. 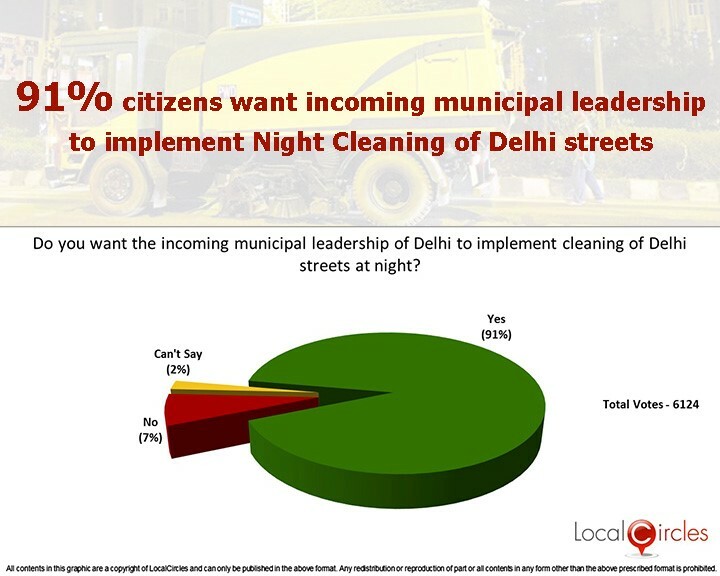 Cleaning of streets at night is an activity that is considered the most efficient world over and 91% of Delhi citizens want the incoming leadership of the municipal corporation to make this a practice in their wards.